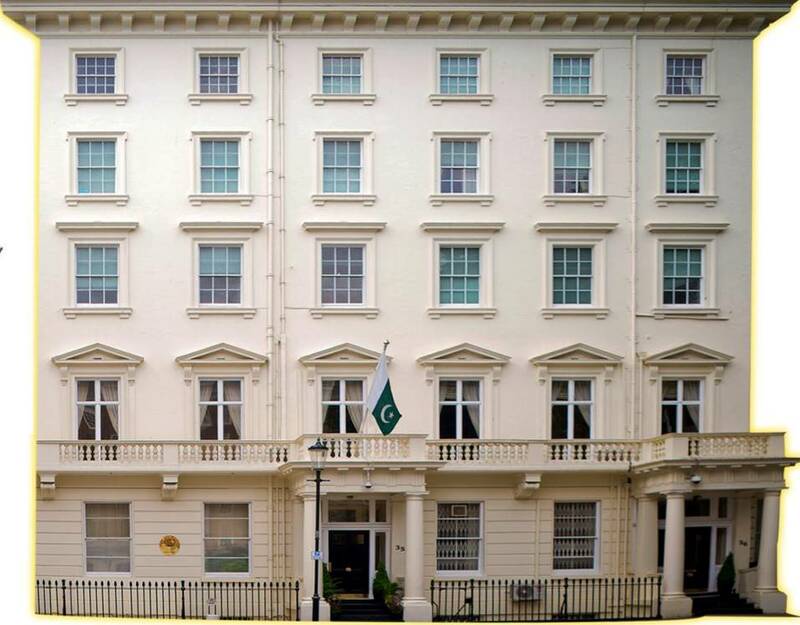 Pakistan High Commission, London chalked out an elaborate calendar of events for 2017 to celebrate Pakistan’s 70th Independence Anniversary in the UK. The brief detail of the events is given below. The High Commission started the celebrations with participation in historic London’s New Year’s Day Parade (LNYDP) on 1ST January 2017. The Pakistan segment featured music, dance, cultural dresses, horse dance on drum beats and Qawwali performance. About 600,000 spectators assembled on both sides of the London roads cheered the Pakistani performers, and about 300 TV channels telecast the parade live. The BBC gave it special coverage. Due to this event, Pakistan remained on top of the Google and other search engines on the Internet. Presence of Pakistan at the world's greatest street spectacular was quite an occasion to show the true image of Pakistan to an international audience. The High Commission held the Pakistan Fashion Week in May this year at the London's historic Lancaster House Palace. This was a real turn around in Pakistan's cultural diplomacy abroad. A large number of Diplomats from London based Missions, Parliamentarians, leading fashion designers, representatives of media and a cross-section of the British society and diaspora were in attendance. Over forty of Pakistan's top designers presented their latest collections, with leading models on the ramp at prestigious Lancaster House, overlooking Buckingham Palace. One way to gauge the significance of the show is that the BBC World TV, allocated 10 minutes exclusive coverage for this show during its prime time. London’s iconic red double-decker buses are carrying brand Pakistan on the roads of Central London, the hub of 20 million tourists. 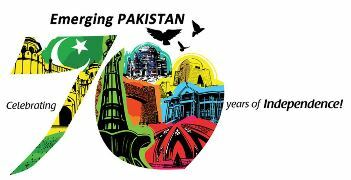 This ultimate branding campaign is running under the theme of “Emerging Pakistan” and will continue for four weeks, until 24 July 2017. 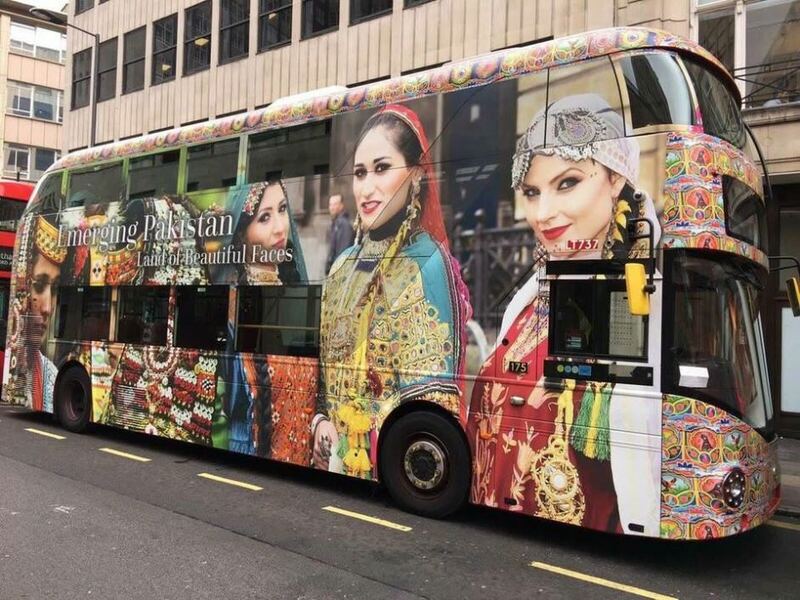 Fully wrapped double-decker buses are showcasing the pristine beauty of Pakistan with its highest peaks, beautiful landscape, rare fauna, monuments representing ancient civilization, magnificent architecture and rich and diverse culture. The moving buses are creating unparalleled lasting visual impact on millions of pedestrians and motorists alike, especially on the tourists. The bus wrapping campaign aims to introduce the foreign tourists to the beautiful land of Pakistan which still remains unexplored. Meanwhile the amazingly wrapped buses carrying Pakistan’s images have already gone viral on social media. The recent social uplift and economic prosperity in Pakistan underpins the theme of the campaign i.e. "Emerging Pakistan", as acknowledged by many independent international organisations. This campaign has been sponsored by Bestway Group. The High Commission for Pakistan in London, after a two years negotiations with the administration of the Lincoln’s Inn, embarked upon a project to install the bust of Quaid-i-Azam Muhammad Ali Jinnah at his alma mater, the prestigious Lincoln’s Inn of London. The installation of the bust in the library of the Inn in Sept/Oct 2017, will be a befitting tribute to the Founding Father of the nation. Besides, the installation of the Quaid's bust would send a powerful message of inclusiveness and cohesion to the strong British Pakistani diaspora of over 1.2 million. It would also add to the rich cultural mosaic of London, where a number of statues of international figures have been installed to celebrate their achievements. The Pakistan Society and the Pakistan High Commission jointly held the Annual Dinner in June this year. The highlight of the event was that Duke of Edinburgh, Prince Philip graced the occasion. This was one of his last public engagements before retiring from such commitments. The Duke presented Syed Babar Ali of Pakistan, The Pakistan Society Award, for his educational and philanthropic services. ISHQ is London's first ever Anglo Punjabi Sufi Musical, to be brought to the stage by the High Commission for Pakistan, London, as the Grand Finale of celebrations for Pakistan’s 70th Independence Anniversary this year. It will be presented at London’s prestigious Sadler’s Wells Theatre from 7-9 September 2017. The Sufi Musical has been produced by Serendip Productions, an international award-winning company from Pakistan. The legend of Heer Ranjha, written by great sufi saint and poet Waris Shah will bring home the Sufi and peace-loving tradition of our culture. The Musical features specially commissioned music and choreography from across Pakistan and the UK. Using Punjabi colloquium and set against the beautiful backdrops of the Punjab, ISHQ combines classical and modern dance with a unique blend of poetry and fusion music. One of the most famous romantic folk legends of the East will be brought to life through multimedia, special effects, stunning dances and original music supported by a live choir. Besides, this year the High Commission and its four Consulates have organized several socio-cultural events and will continue to do so during the remaining part of the year. These events, among others, include art exhibitions, Urdu Mushairas, book launches, and talks on national heroes.